A Pittsburgh-area restaurant was issued an official warning from the U.S. Department of Agriculture’s (USDA) Food Safety and Inspection Service (FSIS) last week after officials learned that it had served raw horse meat to consumers. The dish -- dubbed “Le Cheval” (French for "horse") – was the second course of a five-course menu at Cure in Lawrenceville, Penn. on Monday, May 8. It was served as part of the “Cure-ated” dinner series, which features guest chefs from across North America. The dish was prepared tartare (raw) style and was served with salt and vinegar chips, cured egg yolk, and black garlic mayonnaise, according to the Pittsburgh Post-Gazette. “Within hours of notification, FSIS was onsite investigating the firm and issued a Notice of Warning for illegal entry of horsemeat into the United States. The Agency also confirmed that there were no other horse products in commerce or on the menu of this restaurant,” an FSIS spokesperson said. Cure’s chef and co-owner Justin Severino explained that the dish was offered for one night only and is not part of the restaurant’s menu. “On Monday night we hosted a collaborative dinner with chefs from Canada, a Québécois feast. One of the courses included horse tartare, which is traditional Québécois. It was sourced from a sustainable horse farm in Alberta, Canada,” he said. However, those facts don’t make the dish acceptable; the USDA points out that the sale or serving of horsemeat has been illegal in the U.S for many years. Congress banned the inspection of horses intended for human consumption back in 2006, and although the legislation expired in 2011, there are currently no inspection standards for horsemeat, which means it cannot be served. 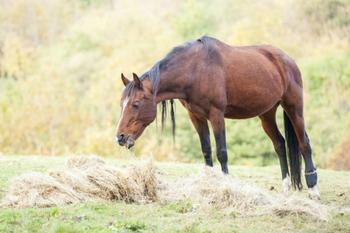 The warning issued by FSIS does not come with any additional charges, but Cure could face prosecution if it is found to have served horse meat in the future.